Durable plastic which can be used all night long wherever you may be going! Give this funky shot glass to all your girls and with the beaded necklace it won't be getting lost! 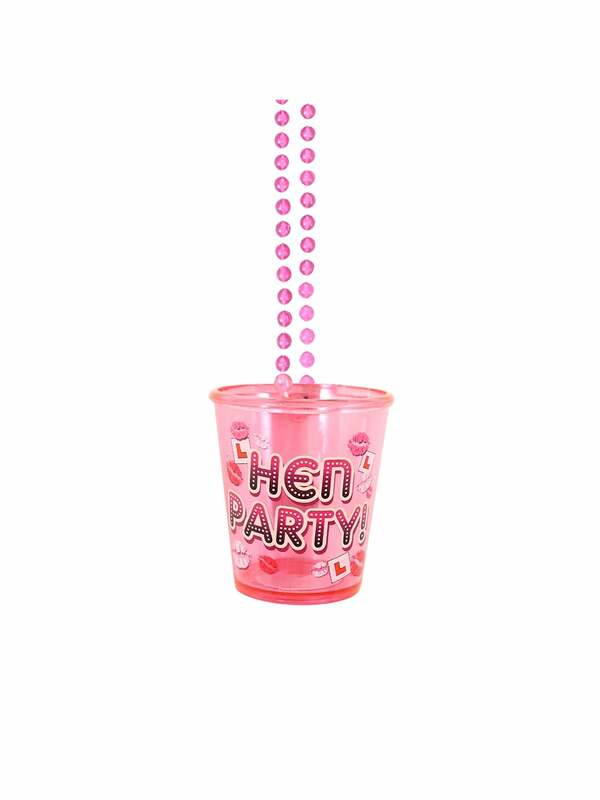 Showing our 2 Hen Party Shot Glass Pink reviews with an average rating of Excellent. Would you like to write a review? Does get a little sticky once you have used them several times!